When I say “shop local”, what do you think of? Fresh produce from a farmers’ market. Locally-made clothing, accessories, gifts bought in a boutique rather than a big-box store. One-of-a-kind home decor from a flea market or small shop. But there are SO many other ways to shop local, including for flowers! 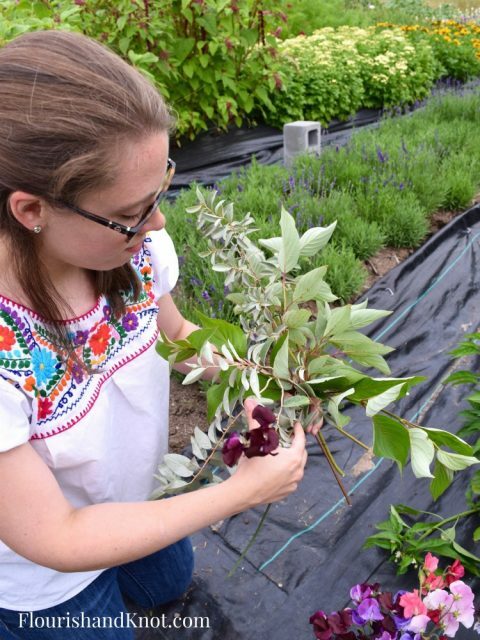 Flower farms are becoming more and more common, and they are slowly moving their way north from warmer climes to Quebec. 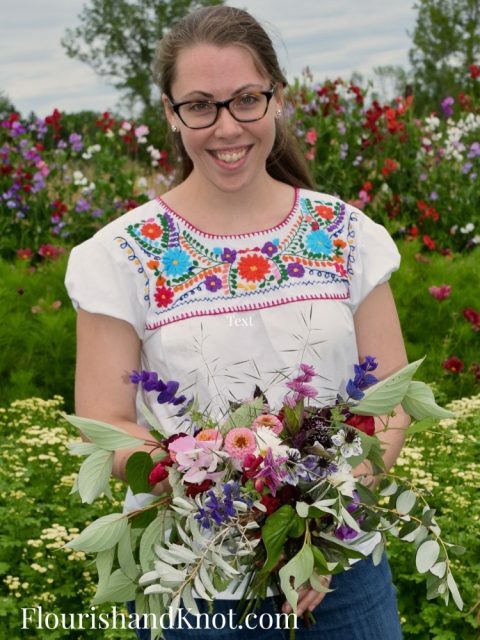 I had a chance to visit Les Jardins de Frieda Bella, a brand-new flower farm in the small town of Rigaud, to see what shopping locally for flowers really means. 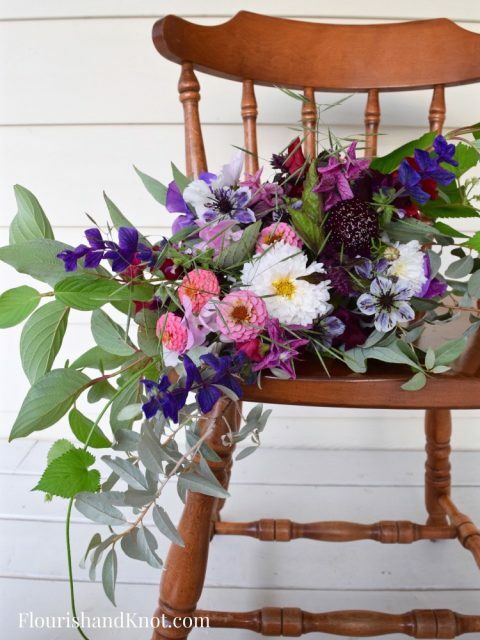 I got to sample Frieda’s gorgeous blooms by making a moody, wild bouquet in a palette of purples, blues, and soft pinks. Les Jardins de Frieda Bella provided the flowers for this bouquet gratis. All opinions and creative designs are my own. For more information, please see my Policies page. Thank you for supporting the brands that partner with Flourish & Knot! 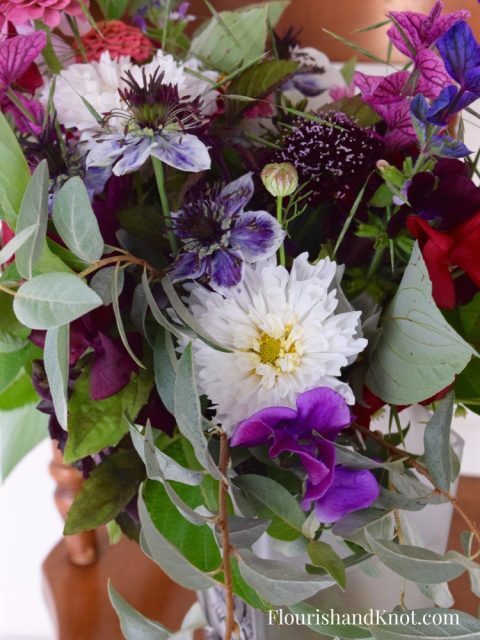 Let me show you how I created this bouquet, which would be perfect for either gifting or for a wedding, and take you on a tour of Les Jardins Frieda Bella. 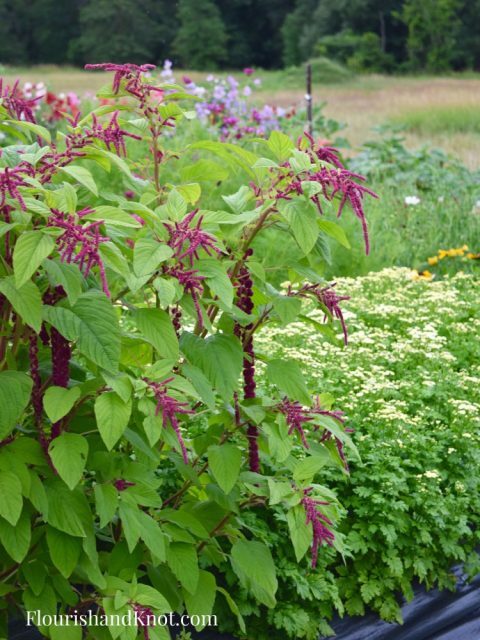 Frieda’s beautiful piece of earth is located just a few minutes outside of Rigaud, Quebec (which is only about 45 minutes from downtown Montreal). 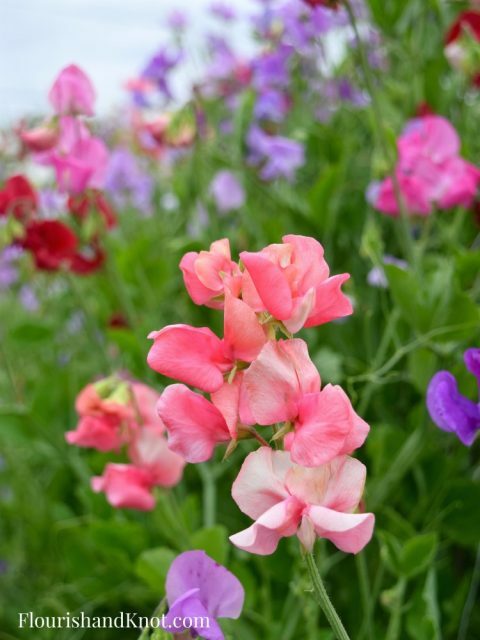 When you first step into her flower farm, you are greeted by a colourful backdrop of dainty sweet peas in shades of purple, coral, pink, white, and red. 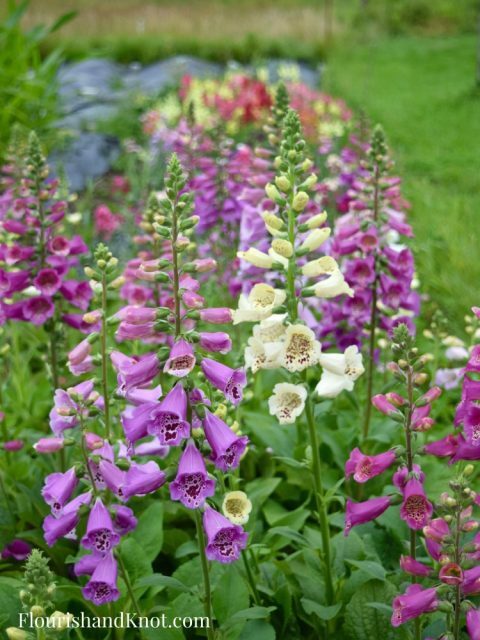 It’s a feast for the eyes, with sculptural hanging amaranth in burgundy and dusty rose; foxgloves in beautiful shades of lavender and cream; sweet feverfew and little mums; bright yellow, red, and hot pink zinnias. The bevvy of colours certainly cheered up a rather grey day! And the cosmos! Oh the cosmos! 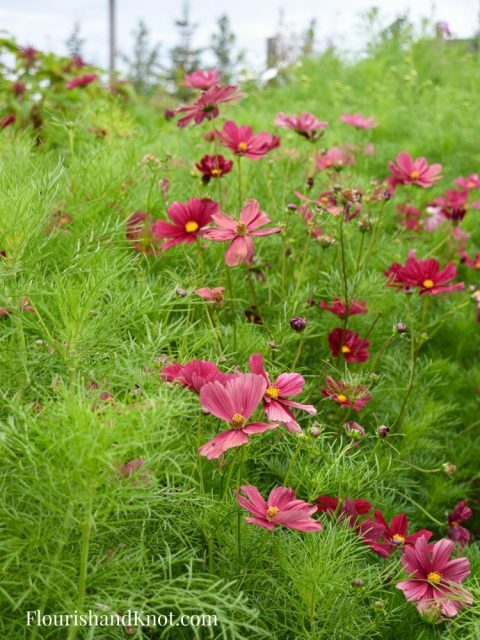 She has several varieties growing, including charming seashell cosmos with their rounded petals. 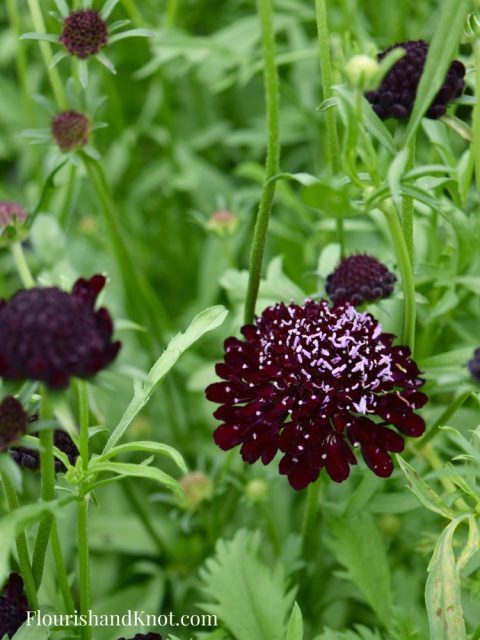 The floral world is crushing big time on all kinds and colours of scabiosa. I was drawn to the deep red, almost black, of these ones. Of course I had to use them in my bouquet! I started out with a sort of supportive greenery cage (we call it an “armature” in florist-speak). I used a type of silvery olive and some foraged greenery. I created a loose, long triangular shape. Frieda’s daughter was a really useful helper, handing me flowers, cutting wire, and generally providing excellent conversation! I threaded my first blooms, some flowering purple and dusty pink sage into the cage. 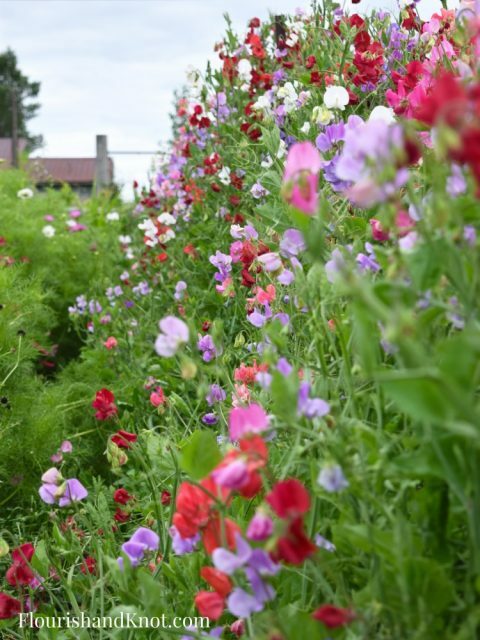 I began adding flowers, including sweet peas in burgundy, purple, pink, and red. 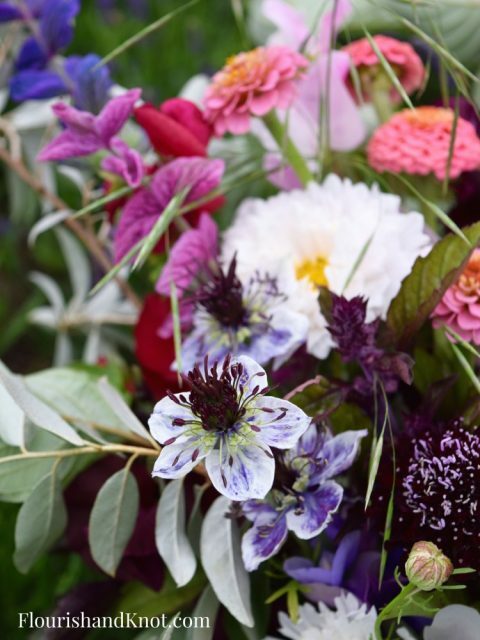 I was so drawn to the blue-purple nigella that I knew they had to feature in the bouquet. Their black centres are unusual and I love how they draw the eye. I added some cosmos in pinks and whites and some pink zinnias to keep the bouquet from feeling too sombre. I finished off the bouquet with some extra greens, including two long, trailing pieces of hops. They are prickly little guys, so I probably wouldn’t use them in a bouquet that’s meant to be carried, but they sure look great! Those nigella, though! My new favourite! Gotta grow some next year. I want to thank Frieda for allowing me to tour her new farm, and for providing the flowers for this bouquet. What an experience! Connect with Les Jardins de Frieda Bella on Instagram! Frieda is currently taking advance orders for summer 2018 weddings. 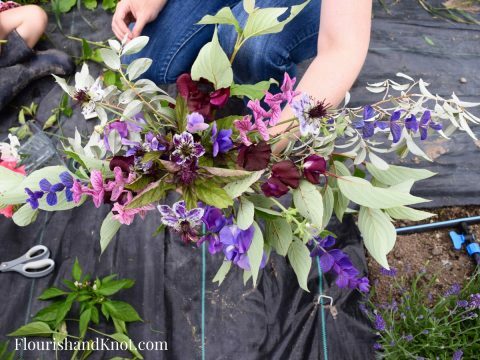 If you are DIY bride in the Montreal area looking to have beautiful florals at a budget-friendly price, and grown locally, this is a perfect choice. I also offer floral design services and DIY event consultation, so if you need a little extra help, you know where to find me! 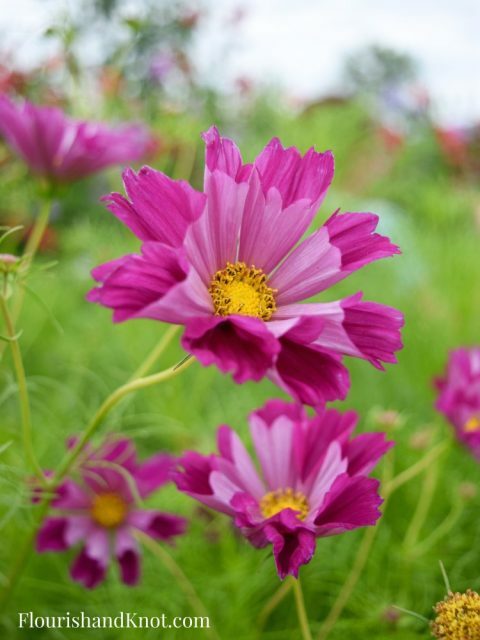 I hope you take some time to enjoy the beauty of this late summer time. 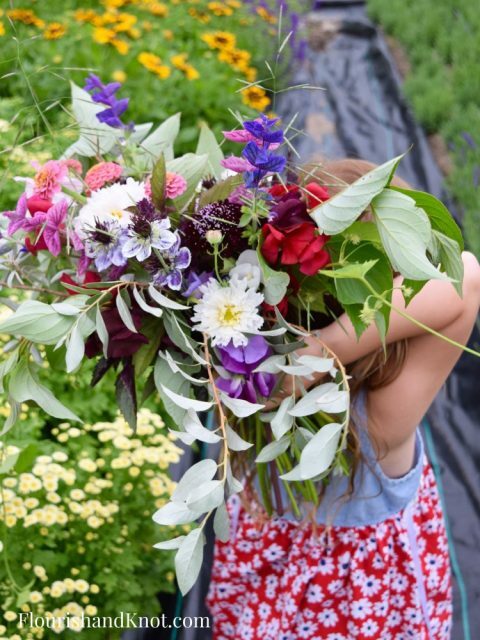 The flowers, the fruits, the vegetables: the earth is just bursting with colour and flavour at this time of year and it’s all available on your doorstep! Spinning a Good Yarn: All About the TWIST Fibre Festival! 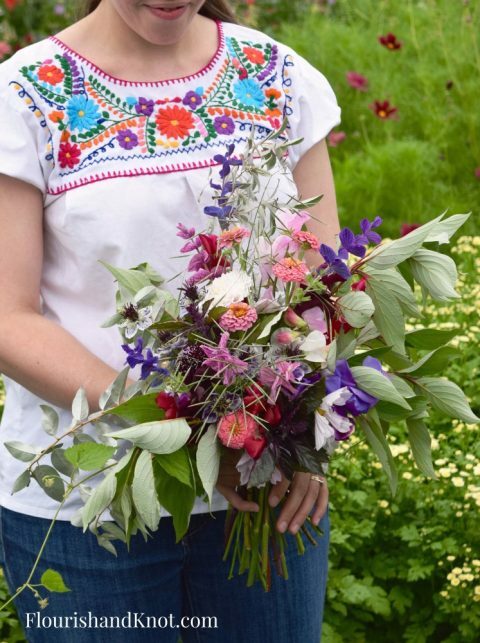 I love the way your Mexican embroidered blouse matches the tones in the bouquet! Thanks, mom. 🙂 I actually hadn’t even planned that! There were some flowers I found quite interesting and have never seen before – and in wonderful colours! Shopping local for flowers is something I had never thought of, and am now very curious to discover what new flowers and colours might be available at my local florist. I’m so glad you enjoyed it! 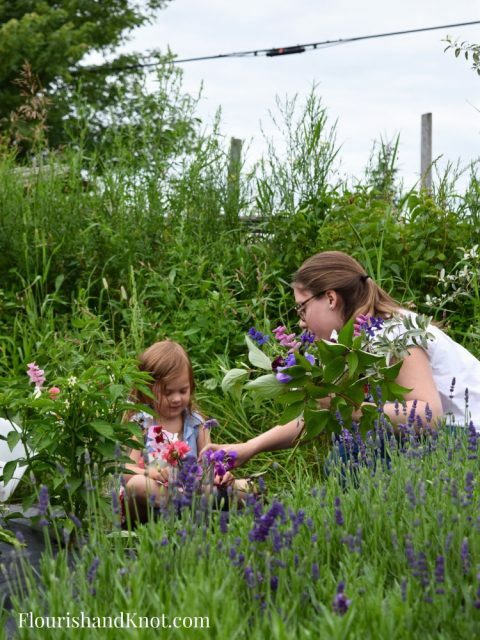 I know that there are a bunch of really great flower farms in your area – check out Rosefolk in Lincoln the next time you head towards Niagara!